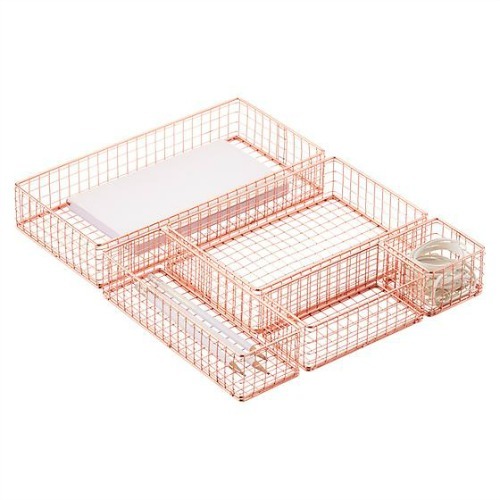 I am obsessed with the new copper desk accessories from The Container Store. How chic are they? 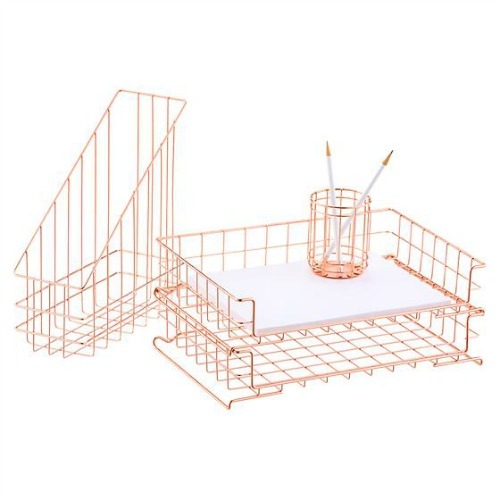 We are in the process of setting up a desk/office space in our condo and am certainly going to add a few of these pieces (with another copper wire mesh basket I already have) into the space. We are planning to have the desk be white, so the copper will really pop. 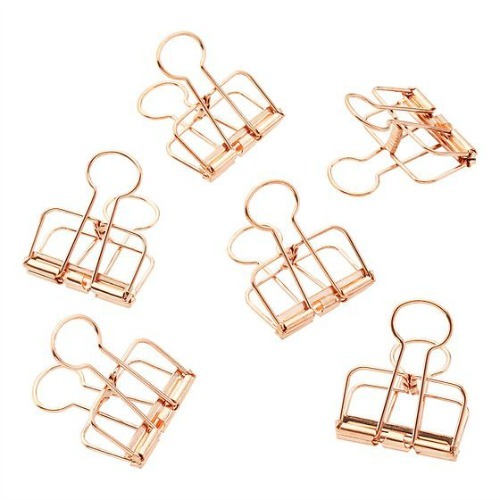 The binder clips are really fun too!